Health care organizations have increasingly acknowledged the presence of health care disparities across race/ethnicity and socioeconomic status, but significantly fewer have made health equity for diverse patients a true priority. Lack of financial incentives is a major barrier to achieving health equity. To create a business case for equity, governmental and private payors can: 1) Require health care organizations to report clinical performance data stratified by race, ethnicity, and socioeconomic status. 2) Incentivize preventive care and primary care. Implement more aggressive shared savings plans, update physician relative value unit fee schedules, and encourage partnerships across clinical and non-clinical sectors. 3) Incentivize the reduction of health disparities with equity accountability measures in payment programs. 4) Align equity accountability measures across public and private payors. 5) Assist safety-net organizations. Provide adequate Medicaid reimbursement, risk-adjust clinical performance scores for sociodemographic characteristics of patients, provide support for quality improvement efforts, and calibrate cuts to Disproportionate Share Hospital (DSH) payments to the pace of health insurance expansion. 6) Conduct demonstration projects to test payment and delivery system reform interventions to reduce disparities. Commitment to social justice is essential to achieve health equity, but insufficient without a strong business case that makes interventions financially feasible. In September 2015, the Centers for Medicare and Medicaid Services (CMS) celebrated the 30th anniversary of the Heckler Report.1 Margaret Heckler served as Secretary of Health and Human Services (HHS) under President Ronald Reagan. In 1985, Secretary Heckler and HHS published a report that documented black–white differences in health and issued a call to arms to address health inequities.1 Since the release of the report, health care organizations have increasingly acknowledged the presence of health care disparities, but significantly fewer have made health equity a true priority. HHS and CMS are implementing policies to improve quality of care and transform payment for the underserved. Most notably, The CMS Equity Plan for Improving Quality in Medicare focuses on collecting and analyzing data, and implementing solutions.2 However, the Equity Plan does not address CMS’s role in paying for care. More action is needed to create a powerful business case that enables health care organizations to achieve health equity across race/ethnicity and socioeconomic status. The Agency for Healthcare Research and Quality (AHRQ) 2014 National Healthcare Quality and Disparities Report documents that disparities in health outcomes are largely unchanged over the past decade,3 despite improved access to care from the Affordable Care Act and advances in our understanding about what delivery system interventions improve equity.4 A key problem is that no national organization has developed a comprehensive strategy to achieve equity that incorporates clinical performance measurement, implementation of interventions, and payment system reforms that incentivize reduction of disparities and sustain equity. Recognizing this void, in November 2015, the National Quality Forum, a multi-stakeholder coalition of organizations representing providers, consumers, purchasers, health plans, public health, and industry, formed a Disparities Standing Committee charged with developing a comprehensive roadmap to reduce disparities that includes payment. Arguably the biggest current barrier to encouraging health care organizations to reduce disparities is the lack of a strong business case for doing so. The economic case for achieving health equity has frequently taken the societal perspective. Health disparities cost hundreds of billions of dollars in direct medical costs and indirect costs such as lost productivity.5 In addition, with the United States becoming a majority non-White population by 2050, we need a healthy workforce across all populations to compete in the global marketplace. However, the societal case for health equity is not pertinent for the individual provider group or hospital considering its own interests. The fundamental problem is that the predominant fee-for-service payment system incentivizes volume rather than quality of care or equity. Even with the gradual shift to value-based purchasing, capitated at-risk contracts, and alternative payment and delivery models such as accountable care organizations, equity has received relatively scant attention. Thus, from the perspective of provider groups and hospitals, the business case for achieving health equity has been largely indirect. For example, tax laws require a community needs assessment and the demonstration of community benefit to justify non-profit status of medical centers. Also, with the nation becoming more diverse racially and ethnically, health care organizations and plans must provide high-quality care to diverse populations to compete successfully for employer group patient contracts.6 However, few incentives exist for treating the uninsured or patients who are socially complex, or improving care for minority persons who may represent a relatively small percentage of a health care organization’s overall patient population and aggregate clinical performance scores. Creating the business case to achieve equity is a new frontier. Little work has been done in this area,7 and thus, innovative demonstration projects need to be tested before widespread dissemination. However, if we fail to address payment reform to achieve equity, then we have missed a crucial opportunity, as carefully designed incentives may have tremendous potential to reduce disparities when combined with other interventions.4,7, 8, 9, 10, 11 Care transformation and disparities reduction are challenging, and become higher strategic priorities for an organization when its economic margin depends upon success in these areas. Therefore, this paper focuses on six ways that CMS and private payors can align financial and non-financial incentives to achieve health equity (Table 1). 1. Require health care organizations to report clinical performance data stratified by factors such as race, ethnicity, language, and socioeconomic status. 2. Incentivize preventive care and primary care. a. Implement global payment and shared savings plans with sufficient payment at risk to increase intensive investment in primary care and care management. b. Update physician relative value unit fee schedules that under-reimburse cognitive specialties such as primary care, using rigorous valid research rather than a political process. c. Encourage intersectoral partnerships across clinical and non-clinical sectors (e.g., public health, housing, education, urban planning) to address social determinants of health. 3. Incentivize the reduction of health disparities. a. Incorporate equity accountability measures into payment programs. b. Promote tailored quality improvement approaches instead of one-size-fits-all solutions. 4. Align equity accountability measures across public and private payors. a. Utilize the convening functions of the Centers for Medicare and Medicaid Services and the National Quality Forum. 5. Assist safety-net organizations that care for vulnerable populations. a. Provide adequate Medicaid reimbursement levels, especially for hospitals with a significant percentage (e.g., > 15 %) of Medicaid patients in their case-mix. b. Risk-adjust performance scores for clinical and sociodemographic characteristics of patients to ensure a level playing field in pay-for-performance programs. c. Provide technical assistance and financial support for quality improvement efforts. d. Calibrate cuts to Disproportionate Share Hospital (DSH) payments to the pace of health insurance expansion and/or offset by other funding to safety-net hospitals. 6. Conduct and fund demonstration projects to test payment and delivery system reform interventions to reduce disparities. a. Test different equity performance measures. (1) Reward improvement, absolute quality thresholds, and/or combinations. b. Reward health care organizations that have structures that facilitate the provision of culturally competent, equitable care (e.g., good access to professional medical interpreters). c. In clinical performance measurement, test how to risk-adjust patient case-mix and stratify patients and types of health care organizations in comparisons of organizations, to treat health care organizations fairly in payment programs while simultaneously incentivizing reduction of disparities. d. Test different types of incentives (e.g., shared savings, pay-for-performance) for different types of care (e.g., preventive and acute care). e. Test different magnitudes of incentives. f. Consider different units to incentivize (e.g., individuals, care teams, provider groups). g. Determine appropriate minimum sample sizes of patient groups for comparison. A foundational step is for CMS and private payors to require health care organizations to report clinical performance data stratified by patient’s race, ethnicity, language, and socioeconomic status.2,12 Stratified performance data do not reduce disparities alone,13 but they do increase providers and administrators’ awareness of disparities in their own care and patients, and their motivation to implement solutions.14 No one wants the public to perceive that their organization does not provide high quality care to all, and no clinician wants their patients to have worse outcomes based on their demographic characteristics, because the vast majority of providers are ethical professionals driven to provide the best care to all. In addition, payment mechanisms that reward reduction of disparities are dependent upon the availability of data to measure and track these inequities. Second, CMS’s plan to have 30 % of Medicare payments linked to quality or value metrics through alternative payment models by December 2016 is a good step,15 but more must be done to incentivize preventive and primary care. Such care is the crux of efforts to reduce disparities rather than remunerative care of end-stage disease complications requiring hospitalizations and procedures. Culturally tailored team-based care and community health workers can reduce disparities.4 As payors and health care organizations learn from early global payment and shared savings plans that have had modest incentives, more aggressive risk arrangements are warranted that place provider organizations at sufficient financial risk to invest more intensively in primary care and care management.16 Otherwise, health care organizations will continue to prioritize tertiary and quaternary care. Not surprisingly, care improvement interventions need to be tailored to specific patients and populations.4 Patients at high clinical, social, and economic risk for poor outcomes often have trouble navigating the health care system unless tailored efforts address their challenges and help them succeed in their care and self-management. Equitable care and outcomes should be explicit goals for CMS’s many demonstration projects. Fourth, CMS and the National Quality Forum should convene stakeholders to create equity measures that are aligned across public and private payors. These equity measures should be incorporated into value-based purchasing programs,21,22 including accountable care organization plans and general pay-for-performance programs. Providers and health care organizations have more incentive to implement quality improvement interventions to reduce disparities if those incentives apply to more of their insured patients.10 In addition, the administrative burden for health care organizations is less, since the performance metrics are uniform across payors. Fifth, CMS should aid clinicians, clinics, and hospitals who care for safety-net populations. While the Affordable Care Act has increased access to care, the health care system is still structured and paid for in a way that puts our most vulnerable patients at risk. Several steps are critical to encourage health care organizations to care for Medicaid and other safety net patients. Otherwise, the danger is considerable that some organizations will dump and avoid these patients, and establish barriers to accessing care. In addition, cuts enacted by the Affordable Care Act to Disproportionate Share Hospital (DSH) payments, the program that has aided hospitals that care for large numbers of uninsured patients, should be calibrated to the pace of health insurance expansion and/or offset by other funding to safety-net hospitals, because many patients remain uninsured, Medicaid payments are low, and medical inflation outpaces payment.25 Safety-net hospitals in states that have not expanded Medicaid eligibility are at particularly high financial risk. It is important to maintain adequate overall reimbursement to providers who care for vulnerable populations during this transition period in health care reform, or else more providers will stop seeing these patients and their care will suffer. Finally, the Center for Medicare and Medicaid Innovation and private payors should conduct and fund demonstration projects to test payment and delivery system reform interventions to reduce disparities. A variety of methodological issues need to be explored. For example, what are the most effective equity clinical performance measures (e.g., reward improvement, attainment of absolute thresholds of quality, or combinations)?4,8,24 Can structural requirements of the culturally competent, equitable health care organization be linked to reimbursement (e.g., good access to professional medical interpreters)?7 What combination of adjusting for the sociodemographic and clinical case-mix of patients, and stratified comparisons of care are most effective in improving quality of care and reducing disparities?23,24 For example, it may be that comparing risk-adjusted performance measures of safety-net organizations to other safety-net organizations, and risk-adjusted performance measures of academic medical centers to other academic medical centers would provide fair comparisons and incentivize improvement. Financial incentives are not a panacea. Health equity is also a professional and ethical issue, and ultimately clinicians, health care organizations, insurers, health plans, and policymakers need to be motivated by their values and sense that aiming for the best health outcomes for everyone is important to us as individuals and society.27 However, the ideal of social justice can only take us so far without a strong business case that makes interventions to achieve health equity financially feasible. We have learned a lot about what changes in the way we deliver care can reduce disparities.4,28 Now we must align the incentives. We must make the achievement of health equity a national priority. Dr. Chin is supported by a National Institute of Diabetes and Digestive and Kidney Diseases Midcareer Investigator Award in Patient-Oriented Research (K24 DK071933), the Chicago Center for Diabetes Translation Research (P30 DK092949), Robert Wood Johnson Foundation Reducing Health Care Disparities Through Payment and Delivery System Reform Program Office, and the Merck Foundation. 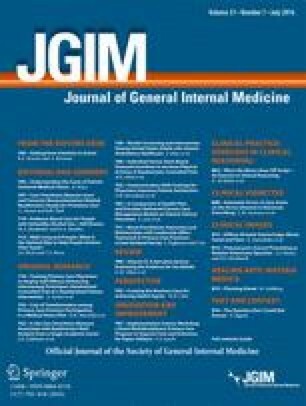 This paper was presented in part in New Frontiers in Health Equity: Medicare & Medicaid in a Post-Heckler World, Medicare & Medicaid at 50: Their Past, Present & Future Impact on Health Equity, Centers for Medicare & Medicaid Services Office of Minority Health, Baltimore, Maryland, 8 September 2015; and in Integrating Health Literacy, Cultural Competency, and Language Access Services: A Workshop, Institute of Medicine Roundtable on Health Literacy, Irvine, California, 19 October 2015. Dr. Chin co-chairs the National Quality Forum (NQF) Disparities Standing Committee and is a member of NQF’s Measure Applications Partnership Coordinating Committee. He is the President of the Society of General Internal Medicine and a member of the America’s Essential Hospitals Equity Leadership Forum. He has provided technical assistance to the Center for Medicare and Medicaid Innovation and is a member of the National Advisory Board of the Institute for Medicaid Innovation. The views expressed in this commentary do not necessarily represent the views of the National Quality Forum, Society of General Internal Medicine, America’s Essential Hospitals, Centers for Medicare and Medicaid Services, Institute for Medicaid Innovation, National Institutes of Health, Robert Wood Johnson Foundation, or Merck Foundation. U.S. Department of Health and Human Services. Report of the Secretary’s Task Force on Black and Minority Health. Washington, D.C.: U.S. Government Printing Office, 1985. Available at: http://minorityhealth.hhs.gov/assets/pdf/checked/1/ANDERSON.pdf. Accessed 12 Dec 2015. Centers for Medicare and Medicaid Services Office of Minority Health. The CMS Equity Plan for Improving Quality in Medicare. September 2015. Available at: https://www.cms.gov/About-CMS/Agency-Information/OMH/OMH_Dwnld-CMS_EquityPlanforMedicare_090615.pdf. Accessed 12 Dec 2015. RTI International. State Innovation Models (SIM) Initiative Evaluation: Model Test Base Year Annual Report. November 4, 2014. Available at: http://downloads.cms.gov/files/cmmi/SIM-Round1-ModelTest-FirstAnnualRpt_5_6_15.pdf. Accessed 12 Dec 2015. National Quality Forum. Healthcare disparities and cultural competency consensus standards: disparities-sensitive measure assessment. Technical Report. November 15, 2012. Available at: http://www.qualityforum.org/Publications/2012/11/Healthcare_Disparities_and_Cultural_Competency_Consensus_Standards__Disparities-Sensitive_Measure_Assessment.aspx. Accessed 12 Dec 2015. Weissman JS, Betancourt JR, Green AR, et al. Healthcare disparities measurement. Commissioned paper for National Quality Forum. 2011. Available at http://www.qualityforum.org/projects/Healthcare_Disparities_and_Cultural_Competency.aspx#t=2&s=&p=3%7C. Accessed 12 Dec 2015. National Quality Forum. Risk adjustment for socioeconomic status or other sociodemographic factors. Technical Report. August 15, 2014. Available at http://www.qualityforum.org/Publications/2014/08/Risk_Adjustment_for_Socioeconomic_Status_or_Other_Sociodemographic_Factors.aspx. Accessed 12 Dec 2015. Robert Wood Johnson Foundation. Reducing health care disparities through payment and delivery system reform. Available at: http://anr.rwjf.org/viewCfp.do?cfpId=1187&cfpOverviewId. Accessed 12 Dec 2015.